Stay in the heart of Stanly County, North Carolina and dream better at the Sleep Inn And Suites hotel in Albemarle. Our banquet and meeting rooms are ideal for your next corporate or social gathering. Plus, you are sure to appreciate our free hot breakfast, free WiFi, and an exercise room. 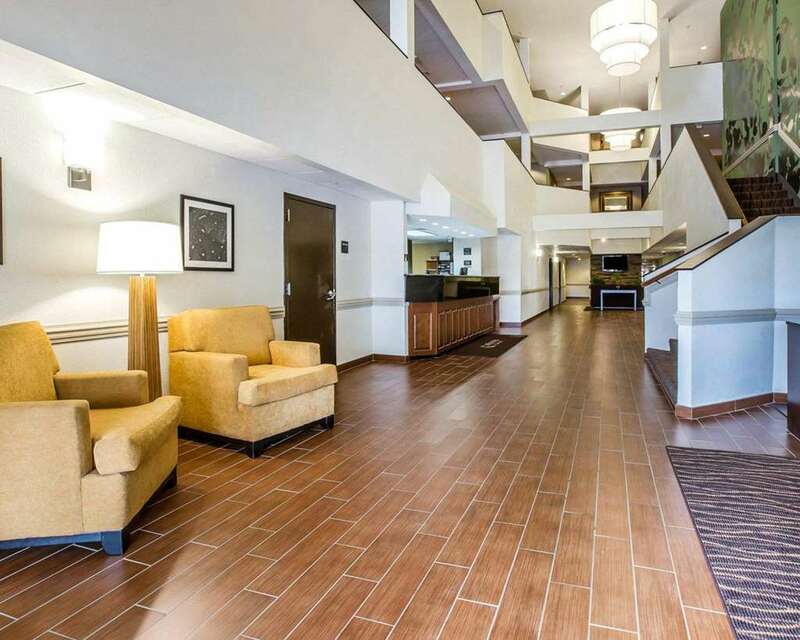 Other key amenities include a business center, library and guest laundry facilities. Our entire Designed to Dream experience brings the comforts of home to your room. All guest rooms and suites feature refrigerators, microwaves, coffee makers, hair dryers, irons and ironing boards. Also, earn rewards including free nights and gift cards with our Choice Privileges Rewards program. Pet accommodation: 25.00 USD per stay, per pet. Pet limit: 1 pet per room, maximum 50 pounds.